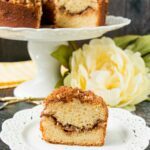 A creamy custard sweetened with maple syrup and a hint of cinnamon spice, topped with a crunchy caramelized sugar coating. 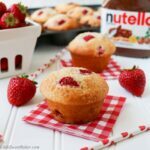 You only need a few basic ingredients to put together this impressive dessert and it is so easy to make. You are going to love it! 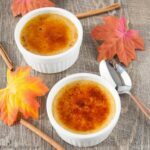 Creme brulee is my ultimate favorite dessert and I share with you today, my version of this awesome treat made with a Canadian flare. 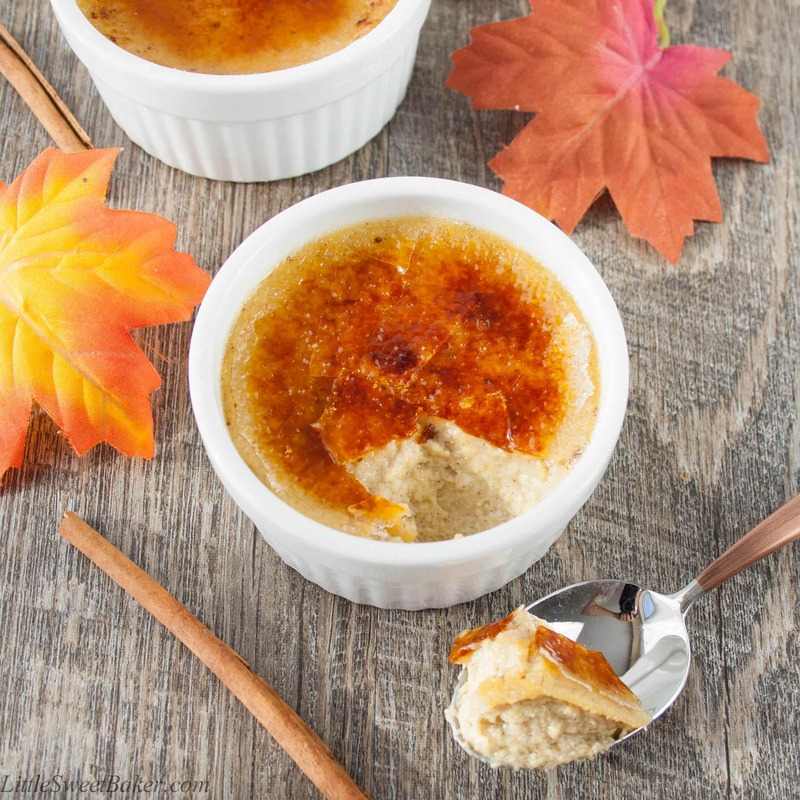 I sweetened it with maple syrup which gives it a nutty caramel flavor and I added a little bit of cinnamon spice to heighten the warm woody aroma and taste of the custard. I love cracking into the candy shell of this dessert. The sound actually excites me before I have my first taste of the smooth velvet cream, and then that sweet toffee coating melting in my mouth, just takes this dessert over the top. This is why it’s my favorite. The first time I made creme brulee, I was surprised how easy it was to make. 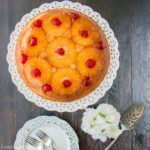 To me, it such a fancy little dessert that is pleasantly simple to make. I made these for my co-workers the other day and it was a huge success! 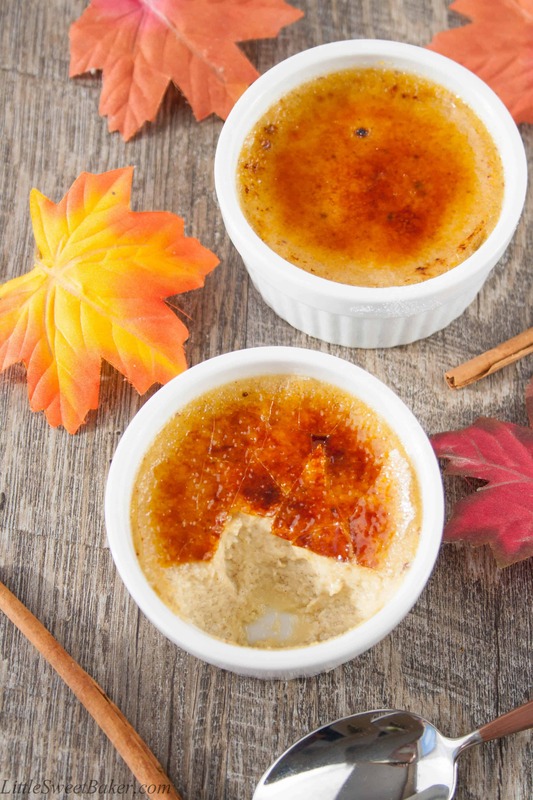 I love Creme Brulee and this looks like a wonderful version. This looks great! 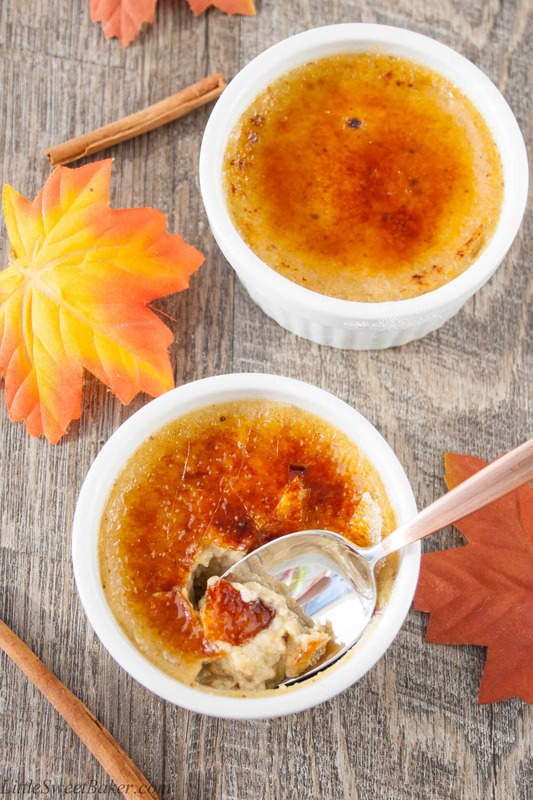 I do love creme brulee now and again and this sounds like a tasty variation. Happy Fiesta Friday celebration!